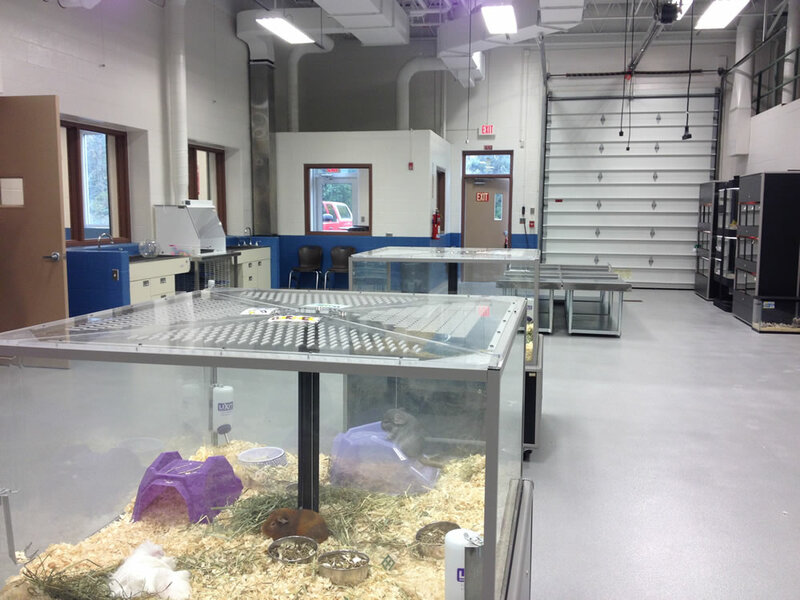 Renovation of an existing lab-classroom space into a modern Animal Learning Center/Laboratory. 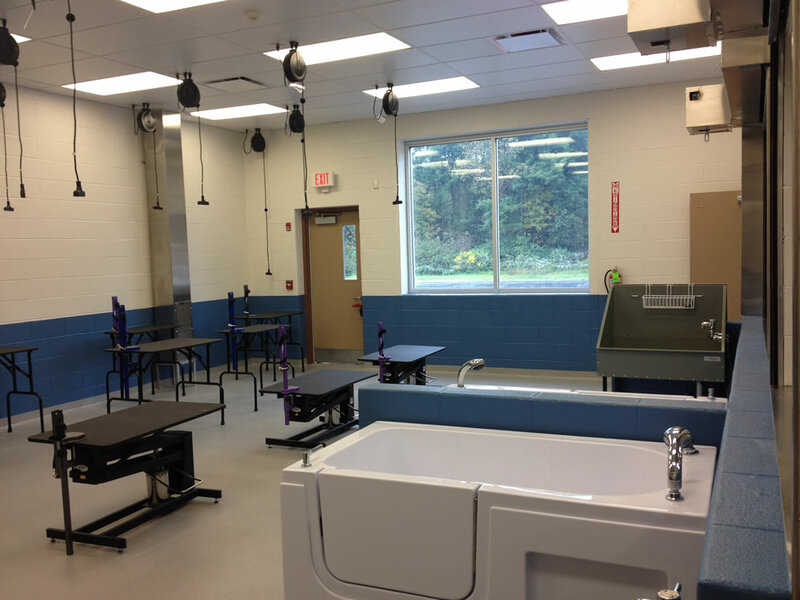 This project renovated an existing lab-classroom space into a new animal learning center. We were the primary design consultant for the project, with architectural and structural engineering consultants working as sub-consultants to our office. 100% outdoor air units with heat-recovery were designed to ventilate the lab and pet grooming areas. Temperature control tolerances were maintained to accommodate several different animal types (birds, reptiles, dogs, etc.). Architectural sub-consultant design included design of protected openings in existing fire rated construction to maintain required building use and classification. This project was designed to be fast-track constructed over the summer of 2014 while the space was unoccupied and successfully opened for the 2014 fall school session.